Seth Godin is a linchpin. He creates useful and enlightening written content. He covers business, marketing, personal growth, and career success with a single brush stroke. He’s a marketing guru, a public persona, a sage. He also defies simple explanation. That very characteristic–using a combination of attributes to become indispensable at what you do–is a key feature of linchpins. A linchpin is a person with a unique skill set and way of doing things. Their combination of skills, talents, and abilities, which Godin defines in his book, make them indispensable. If a linchpin works in a company, they are the person a company can’t live without. Well-known corporate linchpins include Steve Jobs or Google’s Marissa Mayer. Linchpins that don’t work for companies are indispensable, too. They provide something so economically valuable that they’re changing their industry. Jay Parkinson is an example. Many affect large numbers of people in a positive way. Like your favorite barista at the coffee shop–the one you look forward to seeing every time you visit. Whether corporate or not, because of their unique abilities, no linchpins want for contacts or jobs. 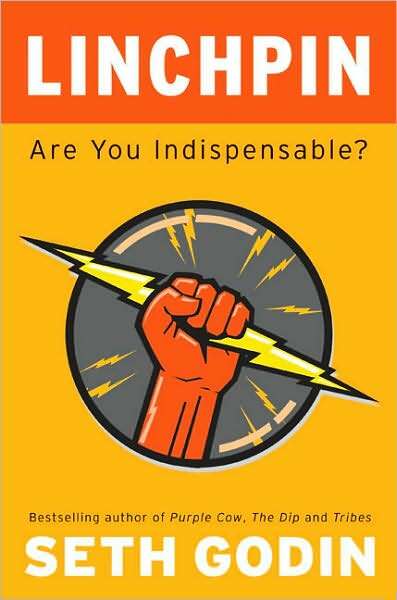 In his new book, Linchpin: Are You Indispensable?, Seth Godin makes the case that the world needs more linchpins. He gives you background on why linchpins are so valuable right now. He makes it clear how linchpins operate, who they are, and why you need to be one. Mediocrity, just showing up to work and doing what you’re told, used to guarantee you a paycheck. It won’t anymore, writes Godin. Today, our economy rewards the people without whom the company can’t function. You guessed it–linchpins. Some businesses have a model of hiring “cheap drones (they) can scale, replace, and disrespect.” But that, claims Godin, won’t lead to customer loyalty or growth. It’s not a good strategy; it’s survival and maintenance. In order to flourish, a company needs linchpins. What’s good for the individual (being indispensable) is good for the company, too. In his book, Godin doesn’t tell you how to be a linchpin. Instead, he gives you an aggregate picture of who linchpins are, what they do, and why they’re so coveted. Godin starts the book by setting the stage for today’s work world. Many previously white-collar projects can now be done for free, either by crowds or by machines. Obedience and just showing up to work are passé. Unfortunately, school and the media have indoctrinated people to be factory workers. As a result, we automatically buy into a career system constructed on fear: Obey the boss or be fired. Godin emphasizes that we need to cast that aside. He details what you need to do in order to change your factory-worker mentality. Instead of just sitting down and blankly following orders, you have to bring your soul to work. You have to stay human and be brave. You need to create, connect, and invent in your work. And, of course, you have to work hard. If being remarkable feels threatening, Godin explains why in following chapters. The amygdala, or lizard brain, will try to sabotage your best efforts, he says. If the lizard brain perceives something as being too risky, it tries to stop. It does this by making you hesitate, compelling you to overdo things, and undermining your confidence. After showing you how the lizard brain tries to stop you, Godin tells you how to thwart it. Subsequent chapters define the qualities and abilities of a linchpin. Linchpins are artists, per a definition that Godin puts forth in the next chapter. They bring emotional labor to their work. They are generous, giving without expectation of reciprocity. This is an essential quality in an economy that has integrated a culture of gifts, according to the author. Linchpins also don’t wait for instructions. They figure out how to create value, then go do it. If you want to be a linchpin, make your own map. If this scares you, make the choice to be bigger than your lizard brain. Now you’ve decided to be a generous, self-motivated, fear-accepting artist. There’s more. In order to be a linchpin, you must be socially intelligent. You connect with other people through genuine human interactions. This connection helps make you indispensable. The linchpin picture is almost complete. Towards the end of the book, Godin adds a few more details to round it off. Besides bringing emotional labor to work and making their own maps, linchpins interact with customers, staff, and members of their organization. They possess a unique kind of creativity and talent. They use their internal map-making skills and judgment to manage complexity. Good judgment and generosity, combined with deep knowledge of your field, is yet another ability. Linchpin read like a series of blog posts. The writing style leaves latitude for personal interpretation. Depending on your experience and situation, Linchpin’s messages will hit you on a personal level, more so than other business books. Here’s what I took away. As an entrepreneur, I didn’t find the first six chapters groundbreaking. I already have my suspicions about the effectiveness of the factory model, schooling, and “just showing up” to work. It was pleasant to affirm my beliefs by reading what Godin had to say, but that’s all. I loved the second half of the book, however. My favorite chapter was called “The Resistance.” It focuses on thwarting the overprotective tendencies of the amygdala, or lizard brain. The chapter explains how fear manifests and how to effectively accept it while staying in charge. Personally–and the book is personal–I found this to be the most useful chapter. 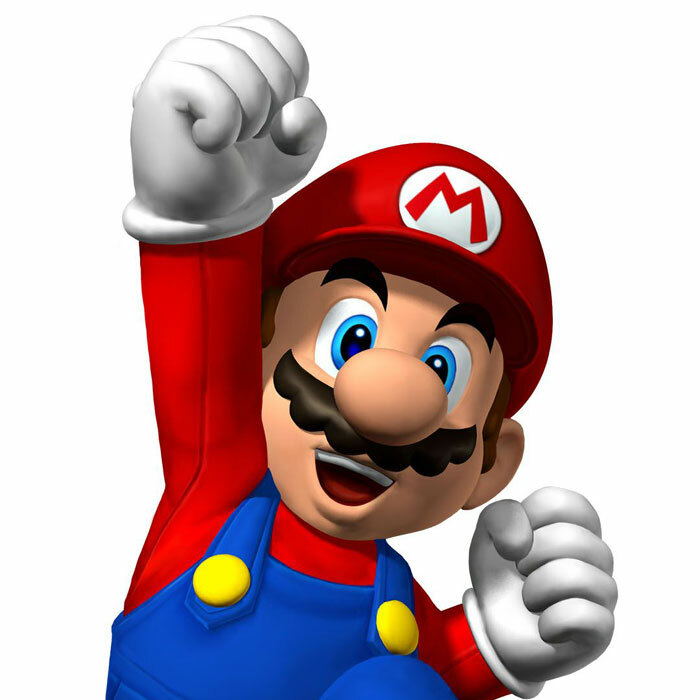 Following chapters let me piece together a picture of what a linchpin looks like. I didn’t find a roadmap on how to be one (I guess I’m supposed to make my own map), but I found enough descriptions for a clearer mental image of a linchpin. Some je ne sais quoi in Godin’s writing also inspired me to try to be a linchpin. The mental picture of a linchpin, combined with the inspiration to try to fit that image, settled over me subtly, like a blanket. Something permeated. I do not know how it will manifest. By the end of the book, I had absorbed the following message: Society rewards you for standing out, giving gifts, making connections, and being remarkable. I was motivated to try. I’ll keep this book around because I want to sustain that inspiration, not just go back to old routines and let the book’s message fizzle out. Some might find this book mind-blowing—it depends on how you think and your personal situation. I recommend it for everybody. I would especially encourage you to read it if you’re in a disappointing job, discouraged about work, or feel stuck in your business or career. Linchpin has a magic about it. Don’t miss it.